International Free & Accepted Modern Masons Inc., and Order of the Eastern Star. The record of the past is relevant only as we possess such maturity to educate ourselves with the acknowledgement that it teaches us from both the bitter and the sweet. It is a record of accomplishments, dreams, and deeds which bear the mark of Divine Providence. We must become enlightened through it, as the true story can only be seen by an open heart. This Chapter is named in honor of Princess Dorothy Riley. She is a source of wisdom and guideance. We look to her as an exceptional example of a "Shining Star." We pray that our efforts as Eastern Stars within this Chapter will reflect her unending devotion to this Great organization. The Fabulous Dorothy Riley Chapter #189 was reoganized in the Spring of 2004 in District 1 of Michigan (Detroit, MI) under the leadership Past District Matron, Sis. Evelyn Dubose, and Past Grand Matron, Sis. Viola Edwards. Eight Sisters (Sis. Margo A. Maxwell, Sis. Lynnetta R. Smith, Sis. ReShanna Ash, Sis. Blair Tucker-Gruchala, Sis. Ivory Mays, Sis. Nicole Bentley, Sis. Aida-Kai Johnson, & Sis. Stacia Collins) envisioned a Chapter of FABulous accomplishments and Grand embodiment of the Principles of the Eastern Star. From its humble beginnings in the first meeting of vision around a dining table in the home of Sis. Margo Maxwell came a beautiful vision of Sisterhood which we continue to emulate today. Considered one of the great Chapters in the State of Michigan and beyond, Dorothy Riley Chapter #189 loving known as DR189 to its membership, will continue to grow and flourish with great Sisterhood and Leadership. Creating Greatness is HARD WORK! International F & A.M. Masons and Order of the Eastern Star, is a world-wide fraternity. Organized in 1950 by the late Dr. William V. Banks; a very prominent Attorney and a Mason with very high ideals. His dream became a reality at the birth of this new Masonic Organization. 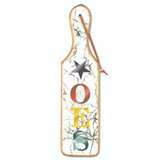 This fraternal organization was incorporated and chartered in August of 1950 in Detroit, Michigan. This Charter empowered International Masons to practice Freemasonry, and operate as a Masonic Order, throughout the United States, its possessions and territories. This American issued charter empowers, International Masons to the same rights as those charters issued directly from the Grand Lodge of England or the Grand Orient of France. Dr. Banks and his host of friends established a National Jurisdiction. Through their diligent efforts the same year, three States were incorporated: Ohio, New York and Illinois. Youth Chapters were added with authority vested similar to that in the adult constitution. The purpose, to provide an apprentice work-shop for the young children and adolescents in the charitable work of the Masonic Body. To inculcate certain moral principles, as exemplified by the Holy Bible and other moral sciences, which is highly regarded by our Masonic Order. Promote better understanding and coordination. To improve such fields of thought which tend to ensure sound judgment. To install in the minds of youth the necessity of intellectual progress. To regard all that tends to develop character and wholesome personality traits. To establish only such assets or liabilities which are within the financial range of the membership. International Free & Accepted Modern Masons, Inc., and Order of Eastern Star, extends from coast to coast; from the Great Lakes to the Gulf of Mexico, on the Bahamas Islands and Alaska. There are approximately 350,000 members enrolled, with an additional count of youth courts. Other institutions of Freemasonry across the nation, swell with pride at the great progress our Organization has achieved in this century. A large measurer of credits must be given to the well known reputation that Freemasonry enjoy throughout our nation and around the world. Our purchase and employment of the first black owned Broadcasting Facilities of radio and television stations, along with the Universal Barber College, the international School of Cosmetology, also the Industrial College puts us in the position to render unbridled service far beyond that of any other Order. These medians of service, coupled with other modern services, such as monetary benefits and those of prestige, and enjoyment, brings Freemasonry to a new level and where no one can doubt that International Free & Accepted Modern Masons, Inc., and Order of Eastern Star, render services not duplicated by any other Organization. Because of our beliefs in the Bible and Christian principles, we teach charity service to all mankind and we try to induce an ethical way of life which brings about those improvements necessary to the construction of good, clean respected citizenship. Under the administration of our present leader, Supreme President and Chief Executive Officer, Illustrious, George Mathews, who took office in 1986, International Free & Accepted Modern Masons, Inc., and Order of Eastern Star, has reached a higher plateau and has grown to be one of the largest Fraternal Orders in the world. Dr. Mathews, has implemented higher goals for the Officers and Members: Improved leadership, not only by teaching, but by demonstration. Extending a helping hand to the needs in our communities, by showing Christianity and Charitable deeds. Broadening our Scholarship Fund to enable the Youth to own business' or have the skills to work in top ranking positions and take part of in our government with strong voices, full of honesty. Having a helping hand in teaching people to have Respect, Dignity, and most of all Love for themselves and mankind. Dr. Mathews has created ways and means of financially supporting other National Organizations, and private sectors with the same concepts as our own. "LOVE, CARE and SHARE". Succeeding Dr. Mathews in leadership in March of 2009 the Ill. Bro. 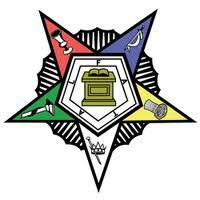 James O. Dogan, 33° has continued to lead International Free & Accepted Modern Masons Inc. & Order of the Eastern Star to great heights and accomplishments continuing a legacy of Brotherly Love in our Communities.